Foreign nationals wishing to take up employment in the UAE must obtain an employment visa, which is issued by the Ministry of Labour, and a residence permit, which is issued by the Department of Immigration. 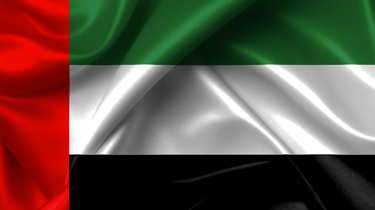 Residence permits allow foreign nationals to take up employment in the UAE with specific employers. Residence permits are valid for two years in the main UAE and three years in the free zones. They are renewable for the same periods, indefinitely. After aII of the documents are submitted, it takes approximately four to six weeks to complete the whole process, including the issuance of a residence permit. A foreign national may not begin employment until his or her application and other papers are approved and accepted. Consultation with an advisor is generally required for those wishing to establish a business or to set up a foreign subsidiary in the UAE. This procedure requires case-by-case analysis and advice. 1. Copy of the employee's passport. 2. Copy of the trade license of the sponsoring company. 3. Letter of guarantee of employment from the sponsor. 4. Authenticated educational certificates of the employee. The UAE does not impose social security taxes for expatriates. UAE-national employees and nationals from the other Gulf Cooperation Council (GCC) states contribute to retirement and pension funds in accordance with specific regulations. UAE nationals working in the Emirate of Abu Dhabi contribute only to the Abu Dhabi Retirement Pensions and Benefits Fund.